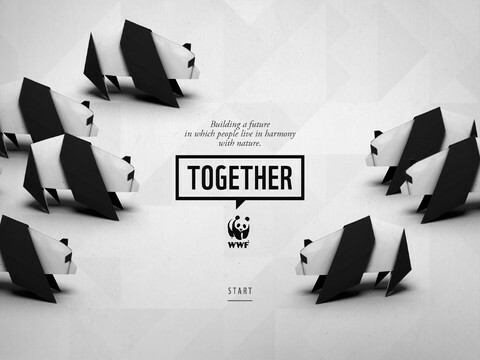 FREE and fabulous – WWF Together, named by Apple as one of the 10 Apps That WOW. This beautifully designed, educational app for the iPad was originally released in January 2013 by the World Wildlife Federation. The app features 8 endangered species – giant pandas, marine turtles, polar bears, elephants, tigers, bison, whales, and snow leopards. The unique and engaging features of this app include: stories about these endangered animals with playful interactive elements, fabulous high-definition videos and image galleries featuring photos by renowned environmental photographer Morten Koldby, cool facts about each animal, and a 3D interactive globe that shows your proximity to 70 different animals around the world. The app also includes an origami of each animal that folds up, creating an animated video for you to share. You can also download instructions for making your own origami. Everything about this app is wonderful – including the music. You and your children will fall in love with the magnificent creatures presented in this engaging app.